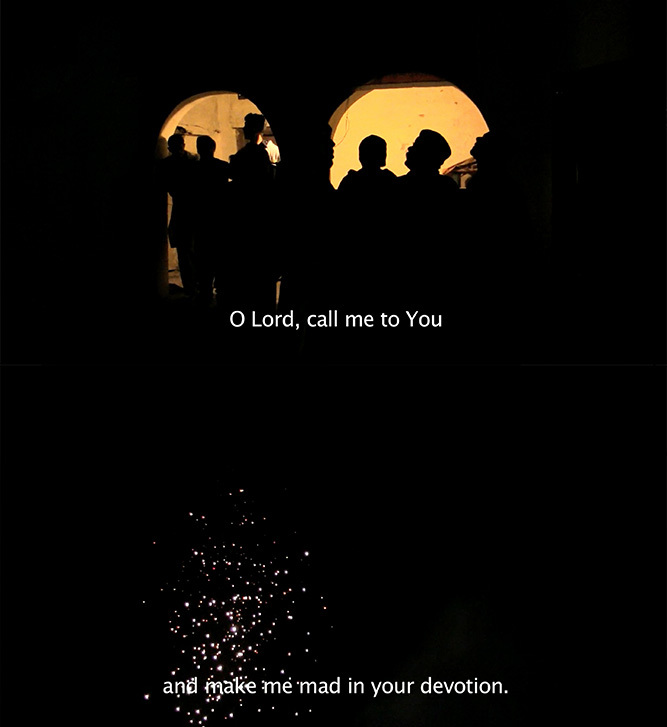 I’m drawn to the generative possibilities of poetics, mysticism and the subconscious in resistance to the black-and-white reductions of my cultural identity (via birth) vs. my state identity (via naturalization). My practice stems from inhabiting multiple personas: woman, Muslim, immigrant, insider and outsider, and is invested in complicating and disrupting the binaries of my orthodox Islamic upbringing and my status in present-day America. 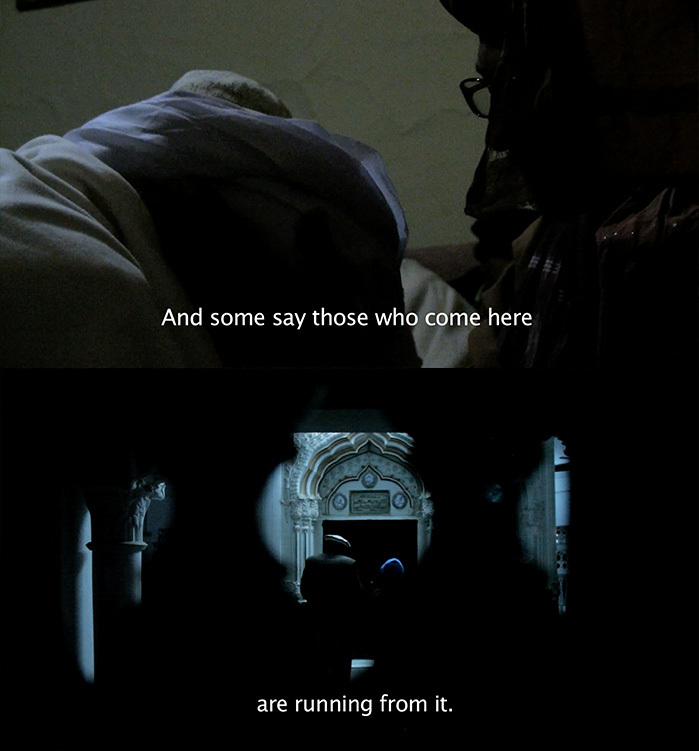 Via social practice, video, sound, and performance, I work with archives and aesthetic production rooted in the Muslim world that have been marginalized both within conservative Islam and the Western imagination. 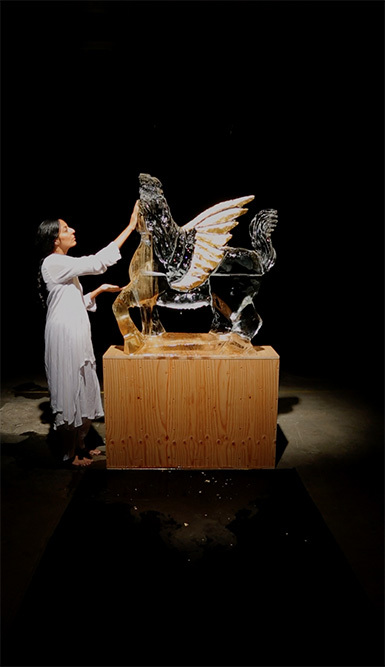 My evolution into performance, social practice, and installation stem from a desire to create kinetic communal experiences moving beyond language to bridge my own origin stories while positioning them in the physical environment. In juxtaposing this tension between personal narrative, myth, and collective historical memory, I attempt to create a liminal, and often celebratory, space for the viewer’s own experience. 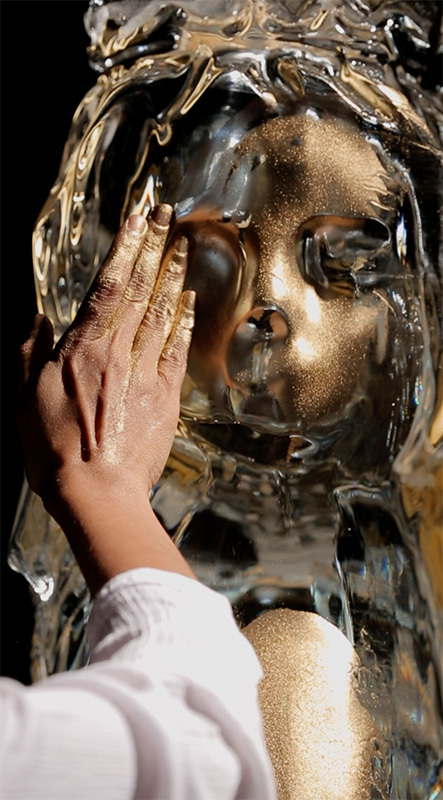 My recent performance work, “The Ascension”, was a gilding in gold leaf of an ice sculpture of Buraq, a syncretic figure controversial in the Islamic mythological canon, part woman and part Pegausus. While not mentioned in the Quran because of her visual form, she is strong in indigenous mythology as a site of resistance and counterpoint to fundamentalist austerity and control. 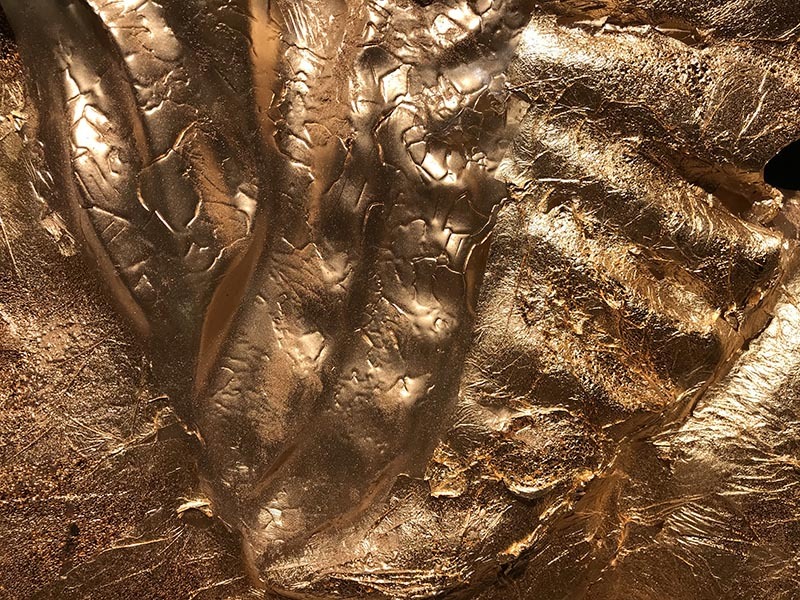 Attempting to gild her before she melted was a devotional act of preserving the divine and transient against the dreams and limits of alchemy. For the opening of Cassils’ recent Solutions show, I was part of a live collaborative performance with Cassils, Rafa Esparza, and Keijaun, all artists whose subject positions differ, but whose civil rights are all being eroded by the current US administrations. 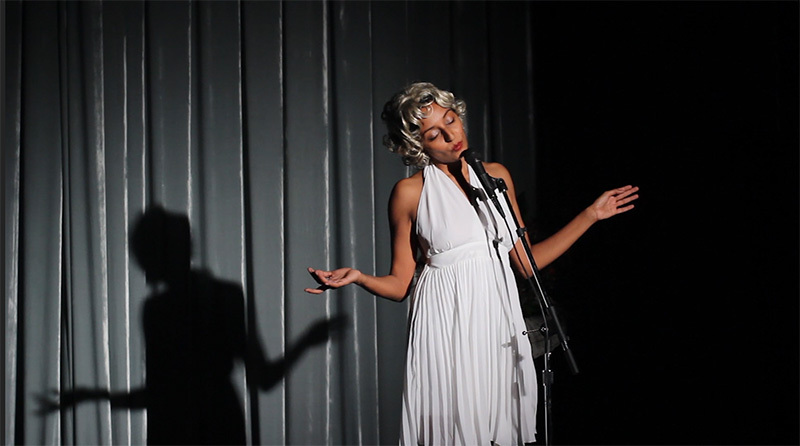 Under the current political climate, expanding and reimagining Cassils’ Tiresias piece to incorporate other performing bodies and working with the medium of ICE in Texas speaks of the coming together of diverging expressions, the power of performative actions, and the generation of collective creative forces. We collectively melted a column of ice, shiting the frozen barrier from body to body until it melts. The run-off was later poured into a plexi column in the center of the gallery for the duration of the exhibition. 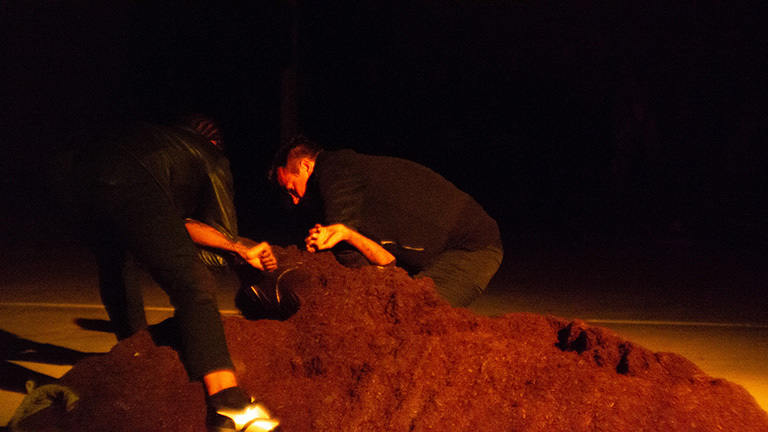 “Cyclic” was in collaboration with Cassils and Ron Athey at the historic Biosphere w in Tucson, Arizona, a site which simultaneously evokes utopian and dystopian possibilities. This new, collaborative work, presented actions highlighting the value of lives often deemed disposable, or even incomprehensible. Triangulated within a circle, alternately illuminated and concealed, we worked against light and dark, visibility and invisibility to bring our subjectivities together in this performance in an unfolding triptych of tableaux vivants. 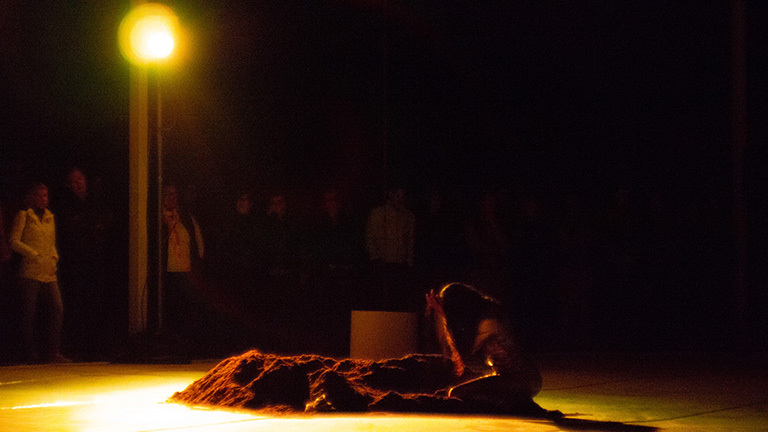 My action, called “Exhumed” and performed as Fanaa, began with my burial under a mound of earth for nearly an hour. As the sound of a subterranean drone unraveled into a Palestinian lullaby by Rim Banna played in reverse, I was dragged out of the earth by two men, in an act somewhere between an exhumation and a birth. 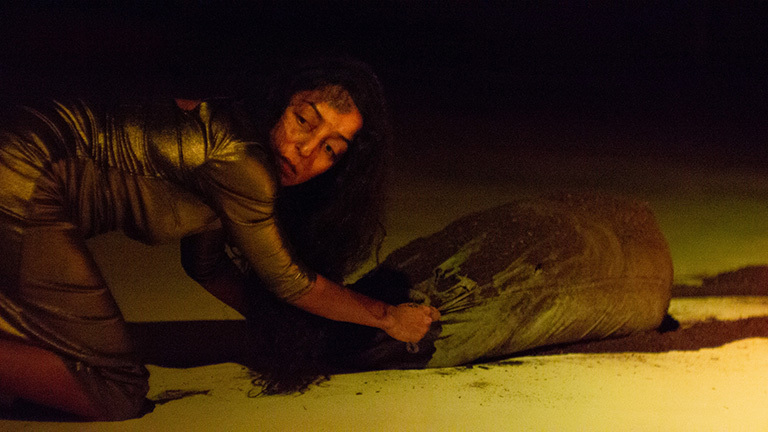 After a ritual of tayammum, performed in times of drought or warfare, I gathered the earth of my burial into a large sack, struggling to drag it with me through the space, invoking Medea’s action of carrying the soil of her homeland wherever she goes, as well as the guttural corporeality of Ana Mendieta’s Earth Body series. Recent work in film explores female embodiment in rural Pakistan within Sufi trance sects and includes two video works and an album of field recordings released on Sublime Frequencies. 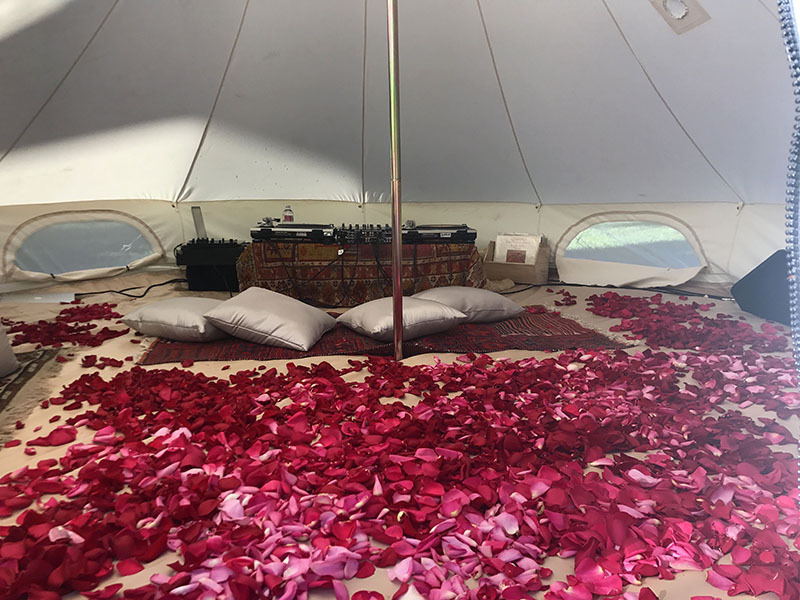 My performative installations on Sama, this shared devotional space in Sufi worship, localize the experience of inclusiveness I encountered in travels. These experimental films and installations present personal, immersive portraits outside of traditional “othering” notions of ethnography. My ongoing social practice project Discostan– where the nightclub is reconfigured as an alternative devotional gathering space queered for intergenerational diaspora SWANA populations (South West Asia and North Africa)– mines the collective imagination, nostalgia and fantasy around ideas of “homeland”. 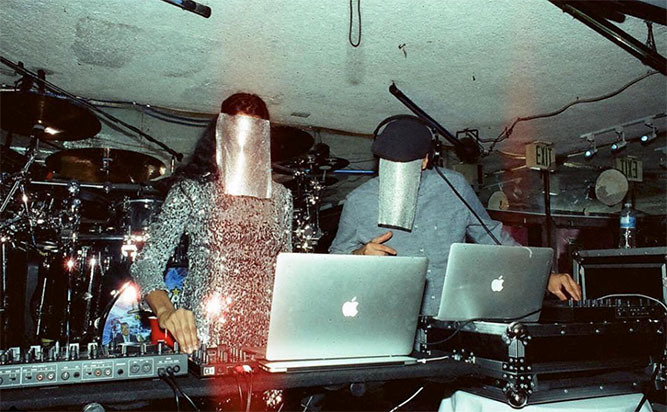 Started as a personal attempt to transform my own estrangement from my religious and sociocultural background, over the last 7 years Discostan has evolved into a collective space using the club as an open platform for community building. 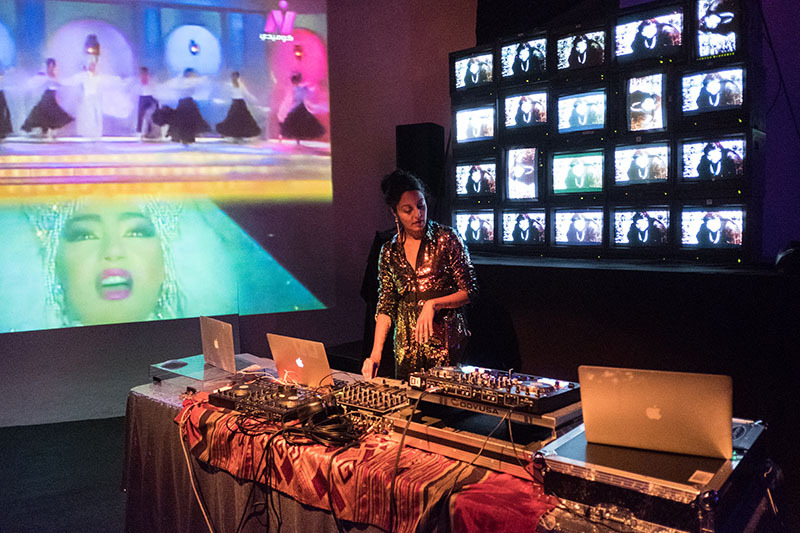 This constellation of identity has galvanized collaboration within the third culture community by hosting traditional musicians as well as DJs and artists working in performance, installation, fashion, and video in public spaces that would not otherwise offer engagement with cultures of Muslim-majority countries. Discostan explores narrative threads such as migration, celebration, conflict, nostalgia, futurism, homeland, and borders, often within realms of Islamic influence, through lenses of traditional forms, experimental renderings, and kaleidoscopic reinventions of pop culture. Soundscaped walk: ­field recordings, historical newscasts, music samples, altered ­field recordings. 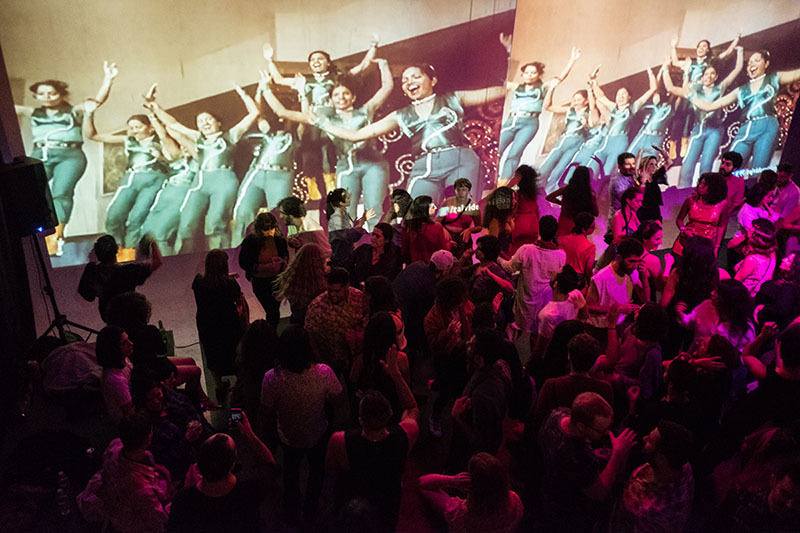 A Los Angeles-based popup presenting music, performance and intervention of the Muslim diaspora, now in its seventh year.